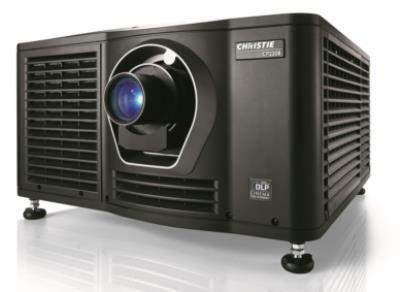 Christie®, a leader in creating and sharing the world's best visual and audio experiences, is pleased to announce that its high-value digital cinema offering, the Christie CP2208 digital cinema projector, has generated record-breaking sales in China since it started shipping in October. To date, Christie’s valued partner Beijing Donview Technology Development Co., Ltd (Donview) has purchased over 500 units of this affordable and DCI-compliant projector, making it the bestselling cinema projector of its class in China to date. This is four times the amount of cinema projectors of the same class sold by a competitor in the Chinese market between October and December 2015. Aimed at theaters whose screen sizes are less than 10.6 meters (35 feet) wide that require an affordable solution in a compact footprint, the CP2208 is the latest in a long line of award-winning Xenon-lamp based Christie Solaria projector solutions. The CP2208 is capable of delivering images at 9,000 lumens within the DCI color space and up to 10,000 lumens when presenting alternative content. The Christie CP2208 can be ordered with a variety of lamp sizes and lenses, and allows feature film content to be displayed using the optional Christie integrated media block (IMB-S2) with improved performance or another popular Series-2 integrated media block (IMB) system using the open IMB slot. This helps to reduce exhibitors’ overall system cost and increase overall system reliability. The Christie CP2208 also offers HFR upgrade capabilities and support for advertising and alternative content.